Color. 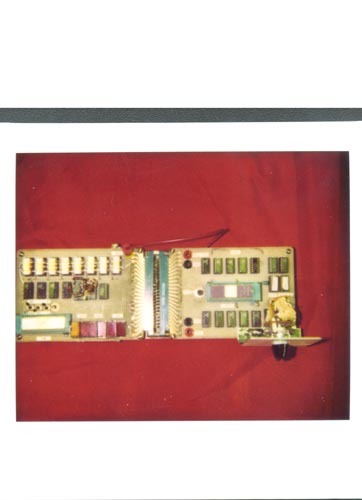 6502 CPU Tester consisting of two circuit boards one with an adjustable control knob. Verso: Red print " Copies & Enlargments call 800-421-1030"